The Hong Kong Derby, one of the biggest races in the country’s racing year, takes centre stage on Sunday. 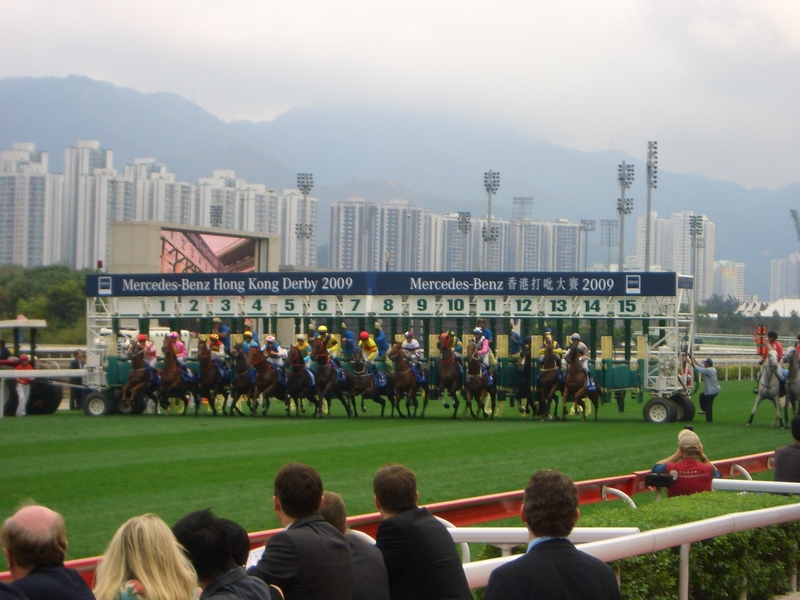 The Sha Tin Racecourse hosts the $2 Million purse race, in its 140th anniversary this year. The race is for horses aged four years old and is run over ten furlongs. Of the horses looking to emulate Fay Bay’s win last year, Akeed Mofeed is the horse that is receiving the most attention in the Antepost stakes, and following a strong performance a few weeks ago, perhaps justifiably so. The best place to bet on the Hong Kong Derby is at Bet365.com, where you will find the best odds on this race and for any future horse racing events. The odds below were taken from Bet365.com, who is also offering each-way betting on the Hong Kong Derby, with which you will be paid out at 1/4 should your selection place in the top three positions. Akeed Mofeed is the big favourite, and things seem to be going his way after he drew the perfect gate earlier this week. Starting from gate three, Akeed Mofeed has an advantage, but trainer Richard Gibson isn’t getting carried away and knows that his horse will have to run a strong race. Gibson noted that the previous two winners of the race have started from gate 14. Akeed Mofeed has had a perfect preparation for this race, impressing a couple of weeks ago, and has impressed onlookers with his form and strength. Also trained by Gibson, Gold-Fun starts from gate 12. French jockey Olivier Doleuze says he is happy to have ended up with Gold-Fun, adding that he believes the horse has the tactical versatility to win the race. The horse is a winner of the Classic Mile and a strong run on Sunday is a good possibility. Three-time winning trainer John Moore will be looking to add another victory to his record and the veteran believes that no horse he has trained has ever had a better preparation than Ashkiyr, who takes off from barrier 14. Moore also shed light on his two other racers, Poetic Justice and Albiceleste, indicating that there are doubts over Poetic Justice’s stamina over ten furlongs and that perhaps the race has come too early for Albiceleste. Despite this, he still believed that they had a decent shout for the prize. The race starts at 09:35 CET/ 04:35 EST. 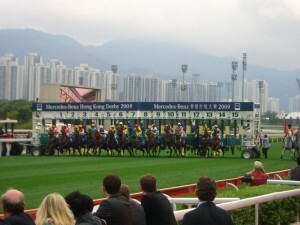 Bet365.com is the ideal racebook to place a bet on the 2013 Hong Kong Derby. When visiting Bet365.com, click ‘Horse Racing’ in the left sidebar and scroll down to the Antepost section of the page, where you will find all the markets for this race. The Hong Kong Derby is one of the highlights of the Hong Kong racing season and through the years has attracted and seen many champions. The race is run over ten furlongs (2000 metres) and is for horses aged four years old. Visit the official race website to keep up with the latest news coming from Hong Kong and visit the race’s wiki page to find out more information on the race.